Siddharth Menon, a young talented charming playback singer who hails from Mumbai, the second most populous metropolitan in India. He was born and brought up in a Mumbai settled Kerala family. He is the sibling of Sathyanathan and Sheela, born on 1 July 1989. His father Sathyanathan is a former employ of an airline company and mother Sheela works with Income Tax Department in Mumbai. Siddharth Menon has a younger brother Sharad Menon, studying at Vivek Vidyalaya High School, Goregaon,Maharashtra. Siddharth has completed his degree in commerce from Vivek College of Commerce and after the completion of his graduation, he let himself follow his dreams and decided to study western classical music and joined A R Rahman's music college - K M Music Conservatory Chennai. 'Govind Menon' who composes songs for the musical show "Music Mojo" in Kappa TV and "Nostalgia", is the cousin of Siddharth Menon. 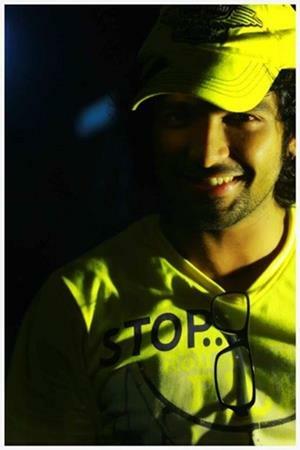 Dhanya Suresh who wrote "Fish Rock" and also was among the finalist of Vanita Ratnam is a relative to siddharth menon. So he was indeed surrounded by a musical hub and right from his childhood he has received enough and more opportunities to nurture and cultivate his talents. Siddharth Menon grew up in Mumbai in a music oriented family. His family has deep roots in music industry. Siddharth was encouraged to peruse his dreams of being a playback singer right from his childhood. From the beginning Siddharth Menon was bright in music he took part in several music competitions and numerous youth festivals and has won many prizes. All that he has to show is that he attended a few days of Ajivasan Music Academy, Mumbai. But this has never damped his charisma, passion and dedication with which he sang. This is from where Siddharth Menon received his initial exposures. 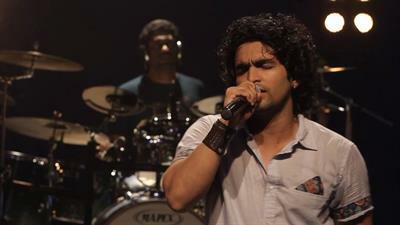 This was the first band in which siddharth performed along with three other members. Nirmitee is a pure sanskrit word meaning creation. This band basically takes songs and add its own flavour to those songs. This band has performed in X Factor. According to Siddharth being with legends like Sonu Nigam Shreya Ghoshal and Sanjay Leela Bhansali who were the judges of the show, gave him a lot of experience and he was able to redefine his personality and reach greater heights in music. Govind Menon, who composes songs for "Music Mojo" in Kappa TV and Nostalgia is the cousin of Siddharth Menon. He was the reason behind Siddharth's entry into malayalam film industry. On Siddharth's visit to Chennai, his cousin Govind Menon and he himself and made a home video. It was a Rehman medley 'Tum ho' and they thought of making few videos this is when they became interested in "Music Mojo". Siddharth Menon's venture in Malayalam Music Industry started with Thaikkudam Bridge. This band gave him a whole different flow in the world of music. Thaikkudam Bridge is a band composed of musicians who came together for a music show "Music Mojo" in Kappa TV, a malayalam channel. Siddharth Menon and Govind Menon brought together artist from Mumbai and Kerala and formed this group as they were asked to make 12 songs for Music Mojo which is now a great success. This group consist of Govind P Menon, Mithun Raju, Siddharth Menon, Vian Fernandes, Vipin Lal,Christin Jose, Piyush Kapoor, Ashok Nelson, Peethambaran Menon, Ruthin Thej, Abin Thej, Anish Menon, Krishna Bongane, Nila Madhav Mohapatra. According to Siddharth Menon friendships, cooperation, and team work is the true spirit of this group it what binds this group together. Siddharth has got exposure to malayalam film industry throgh Thaikkudam bridge. This group has sung many songs like 'Nostalgia', 'Malayalam Medley', 'Jam', 'Neeraduvaan' and many more. They have also sung originals like 'Fish Rock' and 'Shiva'. How the band got its name? There is an interesting story behind the name Thaikkudam Bridge. The band usually practice and rehearse in a hotel, V M Crown that is situated near Thaikkudam Bridge. One of the member of the band, Piyush Kapoor, who sang Beat It, was due to arrive at airport and Siddharth and Govind had promised to pick him up from there but due to some last minute arrangement they were unable to go to pick him up. So they called him and told him to hire a taxi to Thaikkudam Bridge, that was the only name which he knew in kerala. So when there was a discussion about the name for the band it was Piyush who suggested the name Thaikkudam Bridge. At first the band had some dilemma regarding that name but later on they finalised on that and now this name has spread like a wild fire. Siddharth menon was awarded the best debut male singer of the year award by BIG FM 92.7. Siddharth Menon has sung many songs including "Tharangal","Pontharam","Thumbi Pennai","Nostalgia","Aisa Koi","Rahama Medley", "Moovanthi Chayum" etc.